Oh yes! The beards are back for a new season! Dem southern guys by the name of Phil, Sy, Willie, Jase and the rest of the Robertson family are back to make us laugh and enjoy some good ol’ dumb TV! 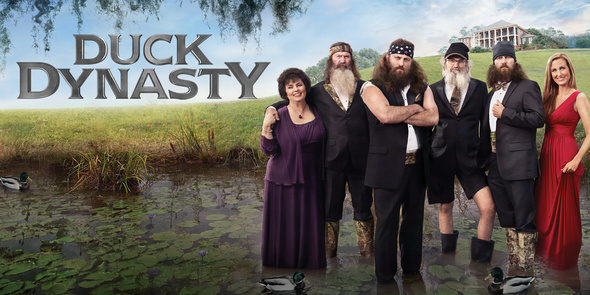 Follow @Duck_Commander for the latest updates on A&E’s Duck Dynasty! Don’t forget to hashtag #DUCK! The ultimate manly man! 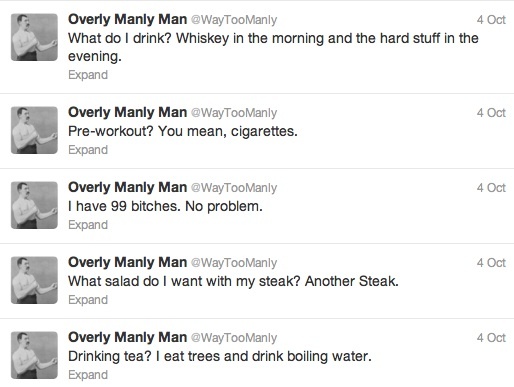 Chuck Norris, Superman, and Incredible Hulk have nothing on Mr. @WayTooManly‘s Manliness! Laugh your head off daily with tweets from the overly manly man! 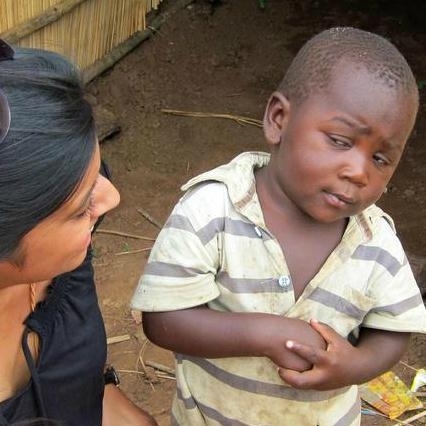 Just about everyone has seen the meme with the little cute and confused boy that just can’t get a grip on what your telling him.. So are you telling him that he can’t say anything over 140 characters? Yup that’s right! 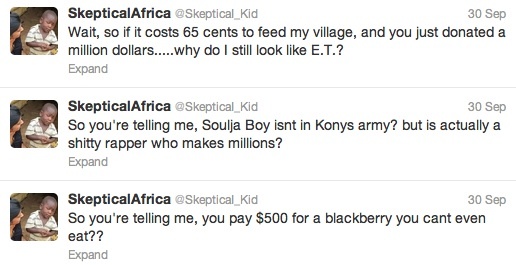 @Skeptical_Kid twitter is full of hilarious meme tag lines that keep you laughing! But at the same time, some of his tweets slap reality right back into your face and make you realize how fortunate we are. Sometimes a little daily reminder is very important. I’ve had the chance to see these guys a couple of times now and I have to say I am nothing but impressed! 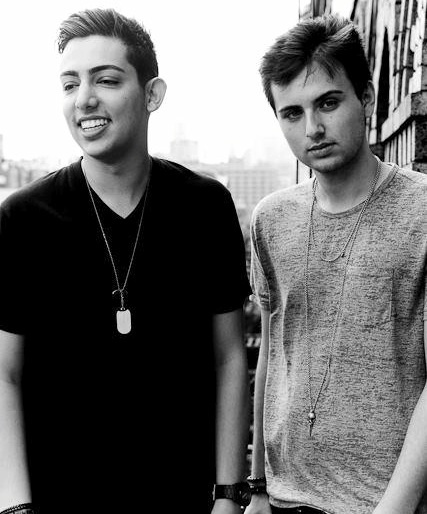 @DzekoandTorres are a producer duo from Toronto who are hitting the DJ/EDM club scene by storm! Having remixed a couple of very popular tracks for some big name artists, their name and skill behind the wheels of steel are putting them on the right track for success! Be sure to follow @DzekoandTorres on twitter for remix updates and to find out when they will be hitting up your city for a night of wild partying! 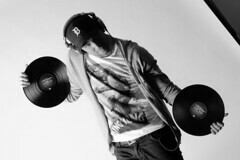 For now enjoy one of their more recent remix releases and favourite of mine! Ladies, if you happen to find yourself saying these things to your boyfriends. I have news for you. STOP! 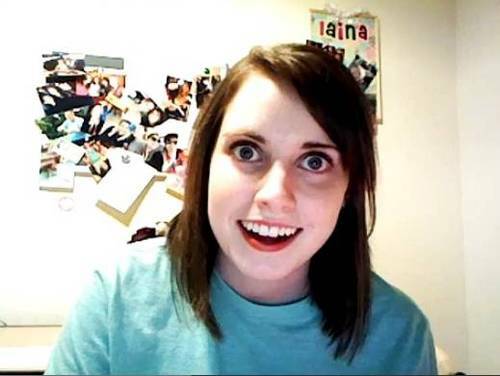 Guys, if you notice your girlfriends saying just about any of these types of things to you, RUN! 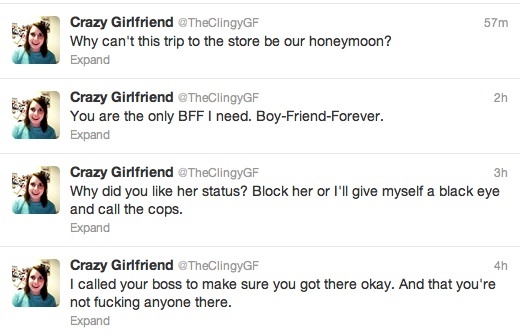 @TheClingyGF is a hilarious twitter account that you need to follow just to get some good laughs! No girl should be like this! If you don’t already know about it and did not seen this week’s edition of Montreal Monday’s, then you have no idea that Comiccon is going down in Montreal this weekend! 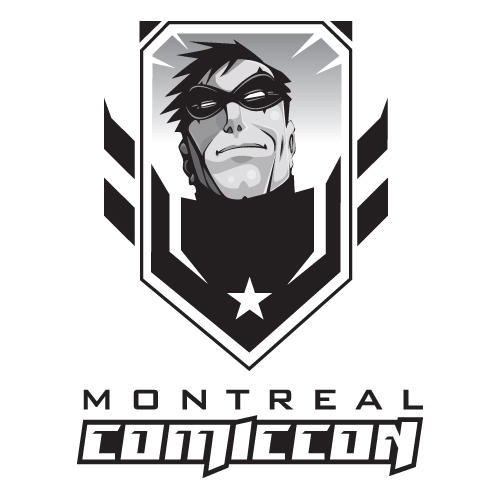 But now that you know, follow @MtlComiccon to stay updated with all that’s good regarding, who’s here for photo opts and all the top secret news you need to know about for this weekend’s festivities. 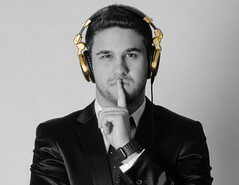 The show is expected to be very unique one taking place in a unique setting mixing the English and French fantasy fiction universes. I got to discover The Onion this past week in on of my classes. (Oh yes. I am back in school). @TheOnion is America’s finest satirical news source. From politics, to entertainment, to sports and everyday news, the onion is just amazing at finding ways to put the satirical twist on everything! Take this Blockbuster story below for example! Remember when going to the movie store was just difficult! How we’ve come such a long way and god bless Netflix! Enough said, follow @TheOnion, you might learn something new!